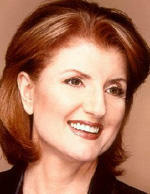 Arianna Huffington Drops Blackberry in Sea | BlackBerry Blast! It seems everyone has one these days. Even Blog publisher Arianna Huffington had one. Arianna writes today that she is indeed addicted to her Blackberry. She blogs about the sense of loss she suffered when she dropped her BlackBerry into the ocean off the coast of Cannes. As she was boarding a friend's boat her Blackberry went swimming. Poor baby. "My BlackBerry was tucked into my shoulder bag. A shoulder bag with a small snap. A small snap that came open. A soft splash drew my attention. And I watched my Blackberry sink into the sea. The finality was absolute. It wasn't as if I'd misplaced it and, after tacking up flyers and putting out a household-wide APB (All Pursue Blackberry), would eventually track it down. Sure I had closure, but closure of the worst kind. I actually thought about diving in after it, but knew that even if I managed to rescue it, it would be worthless. In my experience, BlackBerrys have a worse aversion to water than the Wicked Witch of the West. I once had to get one replaced after just a few drops from the sink had splashed on it -- so I knew that complete immersion in the Mediterranean was certain doom. The only good to come from the loss was that it finally brought me face to face with my addiction -- the reality brought home by the response of my friends, who all suddenly started treating me as if I'd suffered a major loss."